Scout elves love to throw on one of these comfy tees to show their families exactly what's on their minds. This trio of tees comes packed in a tin suitcase decorated with stickers from their jolly journeys. 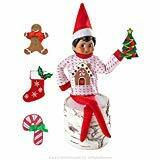 Elves can use the special luggage to pack up other Claus Couture Collection items for wintertime travel. The T-shirts in this pack are for scout elves who love to wear their heart on their tees!. 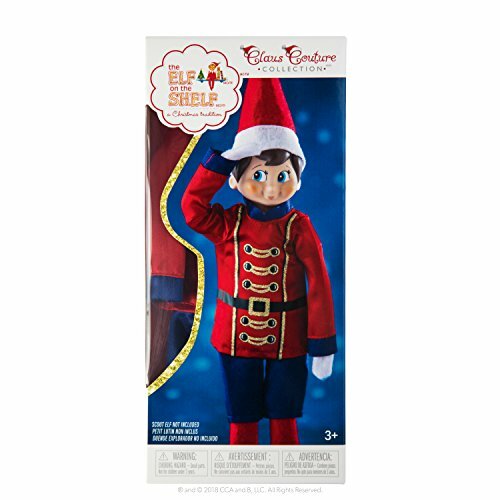 Your Scout Elf can strike the perfect pose in a nutcracker-themed elf outfit that echoes time-honored decorating tradition. 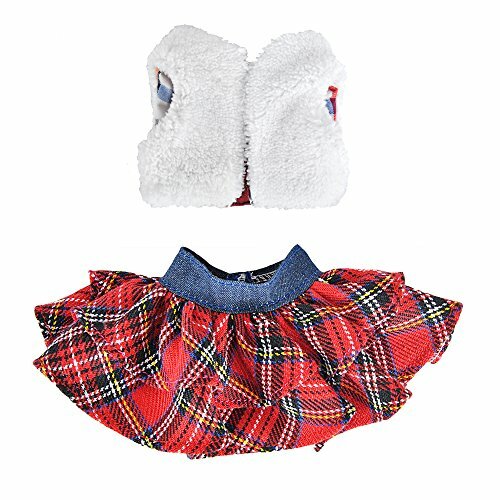 Includes Classic nutcracker red tunic; Gold-embellished black buttons and belt; and Royal blue shorts. 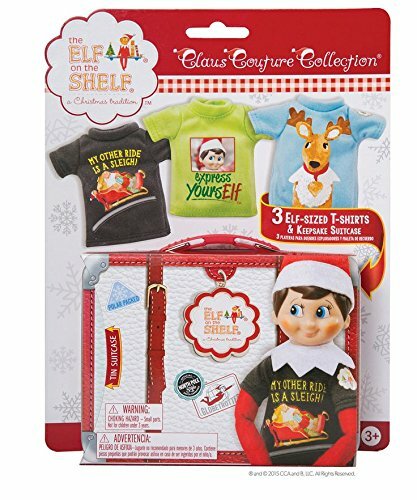 Santa's Instructions: Simply place the Claus Couture Collection elf clothing where your Scout Elf can see it, and he will put it on before his nightly flight to the North Pole. When dashing through the snow, scout elves will look dapper in these duds. Made of a fine silk-like material, this black tuxedo features silver frosted lapels, a holly-berry-red bow tie and fanciful coattails. 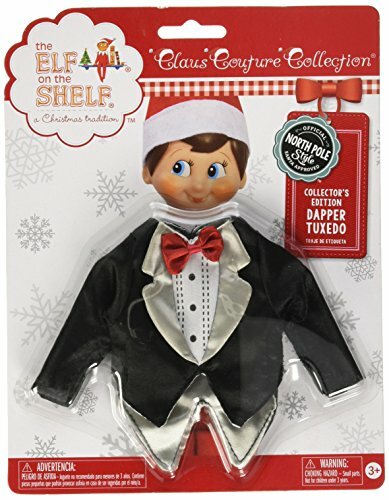 While cruising through a Christmas party or attending the next performance of the North Pole Ballet, any scout elf will look polished in this handsome tux. 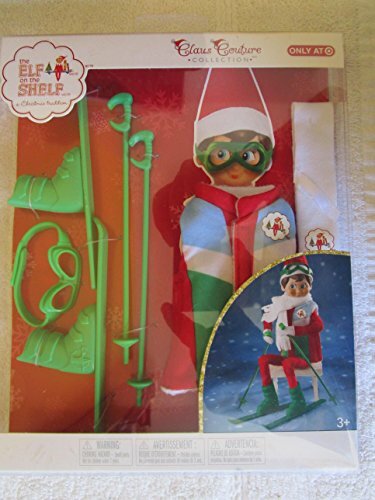 The Elf On The Shelf: A Christmas Tradition. Every year, millions of elves are back on duty watching on behalf of Santa Claus for all the good boys and girls. This year, dress your Elf boy or girl in the new Switcheroo Sweater set. This one Sweater has five different ways to wear. 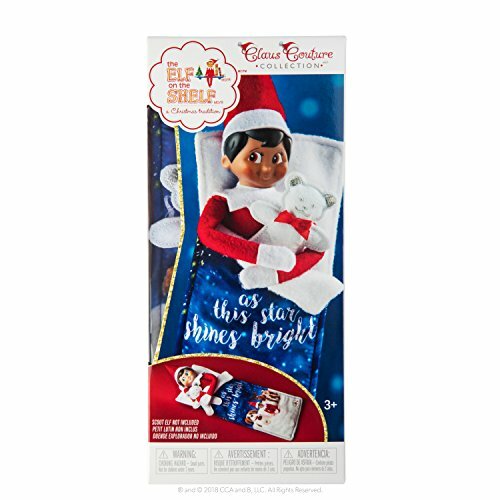 There are five different attachable decals: gingerbread house, candy cane, stocking, a gingerbread man, and a Christmas tree. 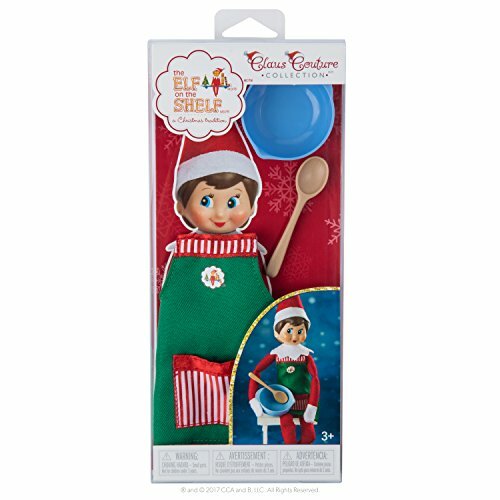 With this outfit your Elf will always be stylish and in good taste! Swap your outfit everyday and keep your child guessing. 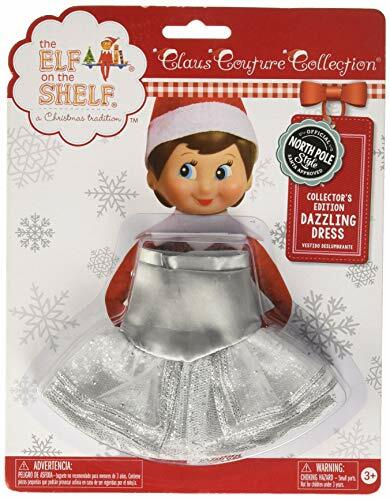 Any scout elf can be the belle of the ball in this sparkly strapless dress that twinkles like the lights at the North Pole! Layers of silver satin and shimmering tulle come together to create a princess gown fit for a fairytale. Tres chic!.